Here is a brief summary of some herbs that are a must for every medicine garden. If you grow these herbs, you will always have things on hand for quick remedies. Chamomile and lavender ice herbal packs- Just a teaspoon of dried chamomile flowers and a 1 teaspoon of dried lavender flowers added to 1 cup of boiling water. Let it sit for 10-15 minutes and then strain the flowers. Freeze these in ice cube trays designated for herbs. Put them in Ziploc bags for future use. These are great for bruises. Make sure you don’t put directly on skin but wrap a cloth around the herbal ice cubes. Taking over the counter medicine for sleep problems can lead to side effects. The natural alternative is Valerian. Valerian has always been a great herb to have around when you have trouble sleeping. Lemon Balm can also help with insomnia. You also can combine Valerian and Lemon Balm to help with insomnia. There is a very common garden plant that you may have in your garden already. If not, it’s worth keeping in your garden for emergencies. Hens & chickens can help with stings like bee stings. Just rub the juice from this plant onto the sting for relief. Aloe Vera will quickly remove the sting from a burn from sunburn or other kinds of minor burns. It has amazing healing properties. This is an easy plant to grow which you can put outside in warm weather. This is a must plant for your medicine garden. Feverfew is great for migraines but not if you are allergic to ragweed. It is in the same family as ragweed so it’s possible to have allergic reactions. If so, you can use chamomile instead. You can use meadowsweet as tea to use for minor headaches. Echinacea is an excellent medicinal herb to help with the cold season. The main thing you will need to do is take it at the onset of symptoms. It can also be taken as an on/off type herb just to keep your immune system in good shape. Echinacea is even safe for children. Ginger root can be used for a quick remedy for digestion problems. One cup of tea can prevent many digestion problems. Nutmeg can be taken to stop diarrhea. Just take a ½ teaspoon several times a day. You could mix this in applesauce to eat. The seeds are the medicinal part of the plant. Marshmallow can be grown for those minor sore throats. The roots, stems and flowers are the useful parts of this herb. The Chamomile flower is a great help for asthma. Making an herbal tea of the flower heads is the best way to use it for your benefit. Adding fresh garlic to recipes from your garden can also help with asthma. You should not go off your asthma medicine unless your doctor tells you to. The root of the licorice plant can be used to relieve Bronchitis. This is still used in cough medicine and is a very useful herb to have in your medicine garden. Dandelion can be used in tea to help with gout symptoms. Be sure to use plants that have not been exposed to pesticides. The flowers of the red clover can also be used for this condition. They can be used in tea form. Making a tea of Parsley leaves can help with Gout. You can use the leaves and root of the Comfrey plant to make tea. It can help with minor pain. Another herb that helps with pain you can make into tea is meadowsweet. Ginger in not only good for minor digestive problems but it can actually help relieve vomiting. The root is the useful part of the plant. You can make tea out of the root by slicing 3 or 4 pieces and boiling in water. Wow, this is a really awesome idea for an article! I'm poking around looking for ideas for more plants to add to my garden, right now I'm pretty strictly a veggies and herbs type of guy (though I love my pansies and marigolds, and I've got a little succulent garden in my frontyard). 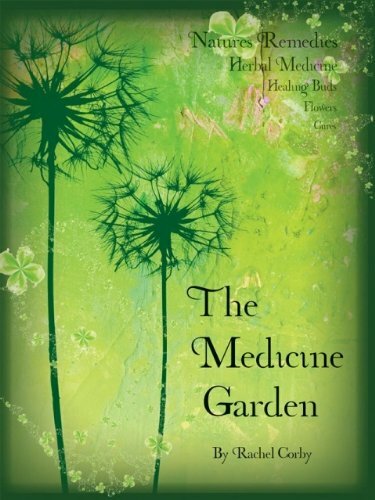 I'd never even considered having a medicinal garden, but now that I've seen this... I might just have to try it! Really original content here, and super interesting. Thanks Ladybug! Was a pleasure to read your work today. Thanks, for your comment! Herbs have amazing cures and I practice use of them daily. Writing about herbs gives me a chance to help more people realize how natural health is in many cases a better choice. My grandma used to give me aloe vera when I had a sunburn. It was very fresh and effective! Great work Ladybug! Aloe is a great staple for medicinal purposes! Glad you liked the article! Herbs are great, and I'm just beginning to learn a little bit about them. Inspiring article! I enjoyed it. I am in the process of planning a square, traditionally laid out physik garden (based on the 16th century monastery healing gardens) and will also be including some of the kitchen herbs in it too, although I have them elsewhere in the garden. Mint is easy to grow and great for settling the stomach, and can be used in flax pillows that you put in the freezer then put near the pillow when you have a bad cold and are congested, and they work for ankle sprains too. I already have the feverfew, chamomile, lavender, echinacea, lemon balm and plants bought, plus many others. Calendula (english marigold) is another great plant for skin compaints and putting in home-made salves. Cool page! Gosh I had never thought of growing herbs for medicinal purposes. Thanks for sharing these ideas. James Mcnair All about Herbs. San Ramon: Ortho, 1990. Barbara Loecher, Sara Altshul O'Donnell Women's choices in Natural Healing. Emmaus: Rodale Press, 1997.